Battalion strengths are approximate - i.e. based on brigade strengths divided by no. of battalions. My thanks to Rafael Mackenzie and Allan Mountford for bringing the Map and the 2 magazine articles to my attention. 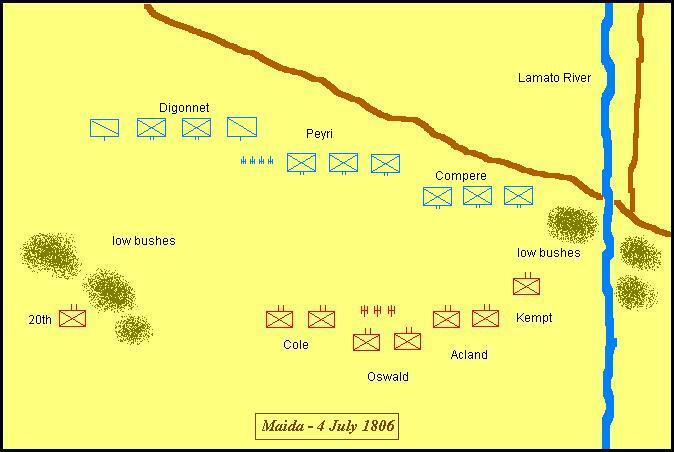 Thanks also to AR Charles for suggesting Maida as an ideal divisional sized wargame scenario.